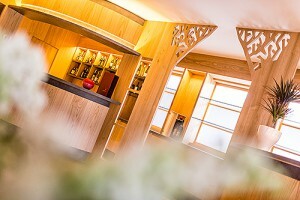 No.1 Wine Hotel in the Dolomites: Check out our Italian Wine Experience! 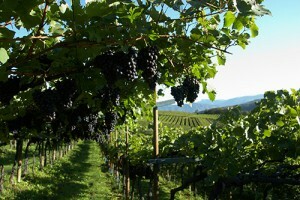 A holiday in the vineyards in the south of South Tyrol! 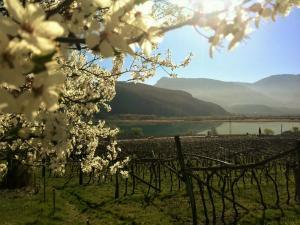 “In calmness there is strength”, this saying can refer to both wine and nature. The culture of wine finds its deep roots in the life style and in the tradition of the “Oltradige” region. 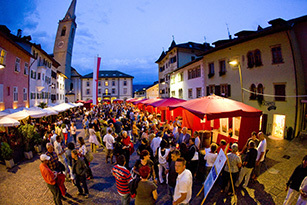 Oltradige is the name of the land located on the orographic right of the Adige river in South Tyrol. Restore your energy and relax in the middle of this beneficial wine-landscape in Caldaro, on the namesake lake. Be kind to yourself and discover the charm of simplicity. Wine will set the pace of your day at the Wine Hotel Hasslhof… from the landscape, through the architecture and to the ambience of the new boutique rooms, the “Ateliers”. And of course, wine will be your fine goods for the most important and most beautiful moments. The Wine Boutique Rooms “Ateliers”: each living space at the Hasslhof features its own terrace of 15-20m² with sun loungers and vine plants. The Lounge on the ground floor: at the new Hotel Hasslhof you’ll enjoy the wide range of excellent wines from Caldaro. You will also have a taste of the house wine produced with our own “Vernatsch” grapes, which grow in the surrounding vineyards. Pick the grapes: we have also planted a row of fresh grapes for you to pick… Taste the different varieties straight from the vine! (This row has been planted in 2013). Guided tour through the vineyard: wine growing is a form of art, “hand crafted”: every vintner keeps his secret for a good and well balanced wine… Are you intrigued by the relationship between man and nature within a vineyard? We will guide you through this very unique world inside our wine landscape.